Jessica Seinfeld, wife of Jerry, is a celebrity cook and author. She stopped by Kelly & Michael’s show to discuss her brand new book, The Can’t Cook Book, and shared some easy and delicious recipes. Jessica Seinfeld prepared her crispy shrimp recipe and discussed her new book The Can’t Cook Book with Kelly & Michael. Jessica defines a “Can’t Cook” as someone who’s had bad experiences with cooking, is afraid of cooking, or is just not interested in cooking. Kelly Ripa believes she falls into that category, but she loves Jessica’s quick, easy recipes and simple culinary explanations. 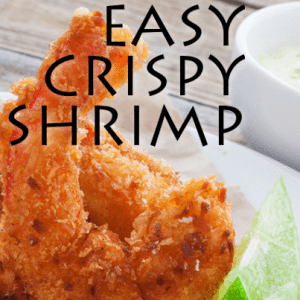 Try Jessica Seinfeld’s Crispy Shrimp Recipe. These shrimp are yummy, easy, and there’s no cutting or chopping involved at all! Kids will love them. Add bread crumbs, olive oil, oregano, paprika, salt and pepper into a bowl with the shrimp. Stir evenly. Lay shrimp on a baking sheet and bake at 400 degrees for 15-20 minutes (until shrimp are opaque). For a simple, healthy side dish, try green beans with almonds! Add olive oil to hot pan and brown almonds until fragrant. Boil green beans in a separate pot with water, then add to the pan with almonds. Toss together, adding salt and pepper. At the end of the segment, Jessica’s husband, Jerry Seinfeld, made a surprise cameo appearance in the kitchen. When asked why he doesn’t help Jessica much with cooking, he responded, “I can’t do it better than her!” He just showed up so he could participate in the best part: the eating. Wow you really have this recipe incorrect. You use 2 tablespoons olive oil not 3/4 cup. That would be an inedible disaster.